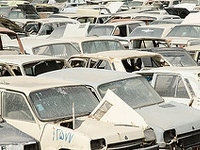 It is feasible to locate 16 junk yards in Saskatchewan. 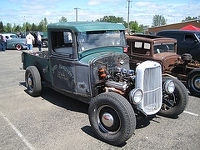 In this website you will find all the junk yards for motorbikes, cars or vans available near Saskatchewan. We deliver all the contact data you will need: directions, phone and fax numbers, sites, etc. 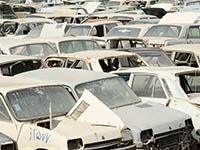 Purchase here a lot of new, used and second hand auto spares in all the junkyards in Saskatchewan. 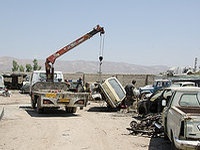 Many vehicle parts are detached from junk cars and put into stock and are ready to be delivered next day. Residents of the Saskatoon surroundings can access an enormous catalog of used parts for their vehicles in this business. You can contact them via: phone or email. This salvage yard operational hours info cannot be found yet. Neighbors of the Saskatoon surroundings can purchase a huge inventory of used spares for their vehicles in this salvage yard. You can get in touch with them via: phone or email. You can contact the helpful owners of this salvage yard using these means: phone. In order to buy high quality auto parts in the town of Regina (Saskatchewan), they are an inescapable option. Purchasers can locate this junk yard in the vicinity of the city of Clavet (Saskatchewan). Its central business area is the distribution of auto pieces at the lowest prices in the area and providing all the guarantees that you may require. If you want to get in touch with them, you can do it this way: phone or email. 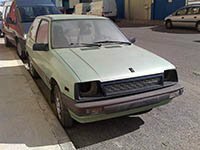 The finest method to save large amounts of money on second-hand parts for your automobile is by approaching a vehicle junk yard, and this is an excellent choice in the Mossbank area. This salvage yard situated in the town of Saskatchewan (Saskatchewan), offers a very specialized and qualified service to its customers, with excellent offers but with the best excellency and a huge breadth of inventory. Visitors have the option to contact them via: email or phone. This business placed in the town of Prince Albert (Saskatchewan), offers a very efficient service to its customers, with surprising discounts but with the highest quality and a large breadth of catalog. Visitors have the possibility to get in touch with them using: email and phone. 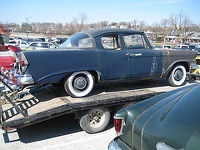 Do you own a junk vehicle or are you immersed in the search for used pieces for your automobile? We recommend to approach this business, since it provides an extensive catalog. You can talk with the helpful managers of this salvage yard by this way: tollfree and phone. 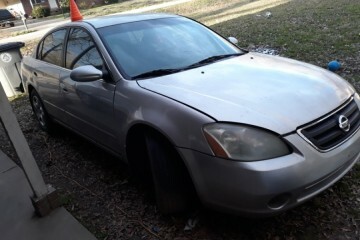 In order to acquire high quality vehicle spares in the town of Battleford (Saskatchewan), they are an ineludible option. 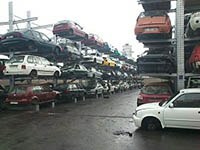 This junk yard is situated in Regina (Saskatchewan) and it's delivering the best quality auto spares to its eventual purchasers in the vicinity. In case you need to inquire a quote for your old vehicle or ask for a specific junk part, please contact them via phone or tollfree. We offer you the junk yards with the most positive ratings from our users in Saskatchewan. Tap below on your city to locate vehicle spares in this state. 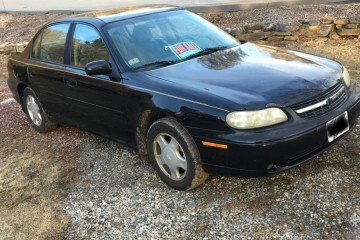 Are you looking for used pieces for your vehicle in Saskatchewan? We provide the most extended auto, motorcycle and classic car parts repository in this state. Being part of our website is very simple: just check the button in the upper left corner of this section and follow some simple instructions. Keep in mind that you can include your salvage yard totally free of charge, including the information you want and your own photos. 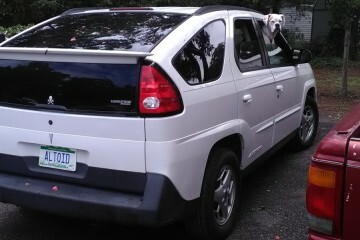 You can contact the helpful owners of this salvage yard using these means: email or phone. In order to acquire the best quality auto spares in the municipality of Moose Jaw (Saskatchewan), they are an ineludible choice. They offer a very efficient service at lower prices, with an excellent variety of inventory and with the guarantees demanded by its customers. 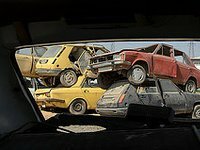 Visitors can meet this junk yard in the town of Weyburn (Saskatchewan). Do you own an used car or are you immersed in the search for used spares for your automobile? 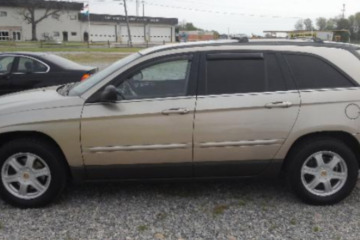 We recommend to approach this salvage yard, since it provides an extensive catalog. The junkyard parts can have the same functionality as the ones acquired in the official dealer. The only thing you should keep in mind in most cases is the wear of the part and the warranty in the situation you are purchasing it in a salvage yard. 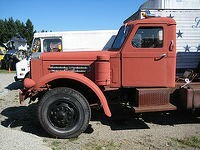 Would you like to include your JunkYard in Saskatchewan, CA listing?